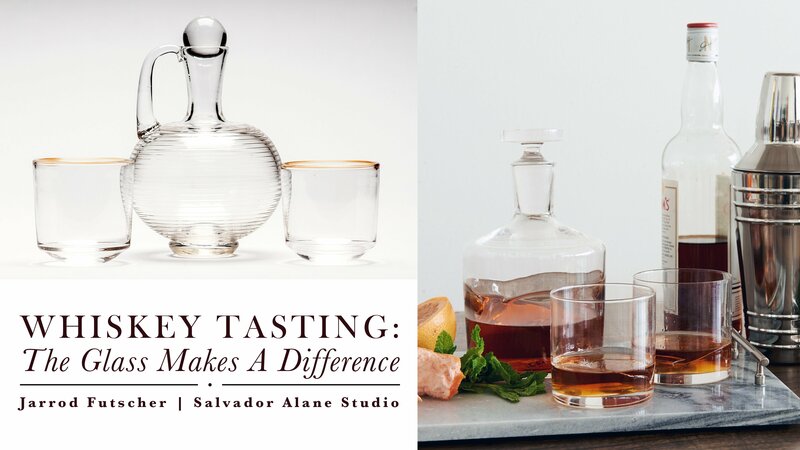 “Whiskey Tasting: The Glass Makes A Difference” will feature glass barware handcrafted by talented Pittsburgh artists Jarrod Futscher and the Salvador Alane Studio duo, Julian Salvador Maturino and Leah Alane Lynn. You will also get the chance to try out delicious whiskey and spiced rum from the newest Strip District distillery – Kingfly Spirits. This is a free event. You must be 21 years old or older to participate in the whiskey tasting, but younger folks are welcome to enjoy shopping for one-of-a-kind objects handcrafted by U.S. artists in The Store, check out the art exhibition in the Studio Gallery, and create an artwork with recycled materials in the Drop-In Studio! Come with your family and friends to enjoy this wonderful spring weather and we hope to see you at in the Strip District and at Contemporary Craft!